Things are evolving by the day in the technology space and the ones that are able to maintain an edge for themselves are not the ones that look just at the present but also plan for the future and incorporate them into the present. The present sets the base for the future with the current planning that is taking up. In this article, we shall answer some crucial questions that can help software testers prepare for the future. Functionality: A large per cent of test cases was focused on validating the functional aspects of the application. This would include the user-facing functionalities, database, reporting and administrative level functionalities and so on. UI: User Interface elements that brought the overall application’s design together were given a lot of importance in a testing effort. UI defects were one of the high bug count categories among the overall set of defects a tester reported. Usability and Accessibility: While usability and accessibility were not new areas of testing back in the day, not much emphasis was given to these areas. As competition came in, there was an increased appreciation for usability, especially around areas of simple application usage, intuitive workflows, graceful error scenarios, etc., all of which hope to earn better customer acceptance in the marketplace. Performance: Load, stress, overhaul, and capacity planning have all been important elements in software implementation and testing since the early years, but again, they had a back seat. Performance testers were slowly gaining prominence, but it was still largely about functional testing and test automation. Security: Security has become a prime area of focus in recent years with growth in the online presence and increased penetration of services in the IT industry. Guidelines from bodies such as Open Web Application Security Project have greatly helped testers gain understanding and bring in a focused security testing effort. DevOps is a development model that seemingly includes only development and operations, but in its drive to promote continuous integration and delivery has a very important role for testers to play. The core principles of DevOps around continuous delivery and readiness to ship at short intervals and in parallel work among all teams are the ones that have been impacting the test discipline. DevOps comes in with such a promise to look past the core development and test teams and enable the others on the product team as well join in to support anytime deployment. What this means for testers is that it might hold a lot of usability in years to come. Some of the core requirements that make DevOps feasible include a strong regression test suite, instrumented code, system configurability, back and forward code compatibility and keeping track of overall product dependencies, among others. Thus, proficiency in DevOps tools will go a long way in getting an edge for software developers. Some must have open source DevOps tools include Nagios, Icinga, ELK, Monit etc. From a test process standpoint, automated test deployments, automated defect and test case management, automated metrics measurement and report generation are varied areas that must be considered more frequently. Automating the test processes is particularly a more cumbersome task. The reason is there are a lot of loose ends that can be easily done manually and due to this, there is resistance to adopting automation in such areas even among automation engineers. 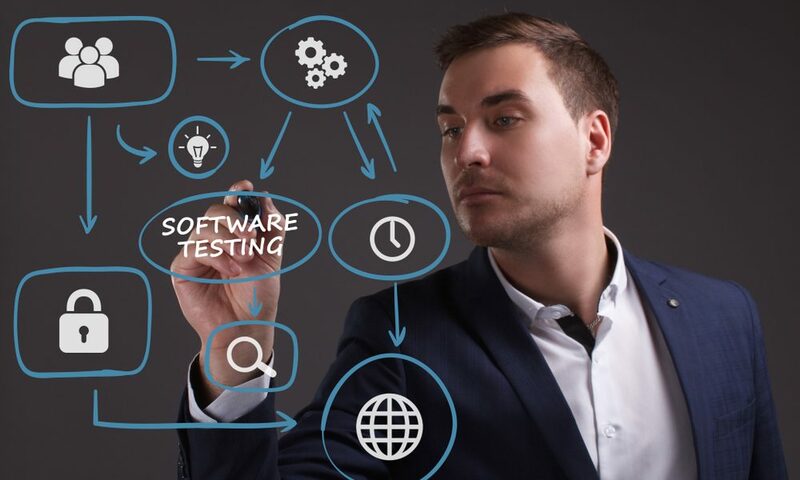 Typically, some of the core problem areas impeding comprehensive automation include the disconnect between defect tracking and test case management and the need for coding skills to implement automation. In the initial days, the cloud was all about software, platform and infrastructure as a service. But today, this has taken shape in varied ways, for example- backend as a service. Similarly, with the growing concerns of public cloud, private cloud started gaining popularity a few years back. We also now have hybrid cloud evolving as a mix of both public and private clouds- a solution where organizations can leverage the benefits of both the private and public offerings to decide which applications would be on the private segment, which would be on the public segment together building a combined cloud strategy. The growth in the cloud will provide a lot of flexibility for testers from a test engineering standpoint and will also expand test opportunities and force them to think of custom test strategies in future. Mobile computing is probably the biggest technology change that has greatly impacted the tester’s realm of operations. The device in combination with an application development mindset and the overall application development process has created a very large test impact. Mobile applications have brought in a lot of focus on nonfunctional testing elements such as performance, security, and usability. Newer business models around m-commerce and content digitization have all triggered new testing opportunities. Additionally, testers are having to make smart optimization choices based on past analysis of test results to help them further strategize their mobile testing efforts. It will be crucial for testers to prepare themselves for new opportunities in mobile testing. In very simple terms wearable computing is a wearable device with built-in computing capabilities that are able to render valuable information to end users across a range of functionalities. And augmented reality, whether it be mobile or nonmobile, is enhancing a real-life experience and augmenting it to provide relevant and timely information to end users in varied shapes and forms. Testing for apps developed for wearable devices is a huge market and they come in not just as stand-alone apps that are tested but their computing elements that integrate with varied other apps and devices across the mobile and nonmobile segments. Similarly, testing for augmented reality apps calls for a number of pieces that integrate together and several out of box scenarios to be tried. Thus, as bright the future of software testing may be, a tester should always keep a tab on aforementioned points in order to become the best out of the rest.